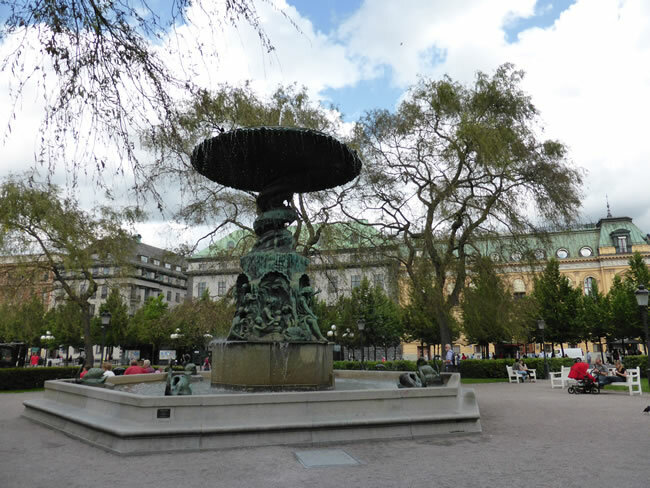 The next section of Kings Garden has the Fountain by Molin at the centre. It was built in 1866. We wander passed outdoor cafés, pretty gardens and many people simply enjoying the outdoors. The park is surrounded by historic buildings and department stores.